Andrew Hancock and Zack Meinke of thomastech sit down to discuss the business implications of thomastech’s subscription to FairlawnGig. 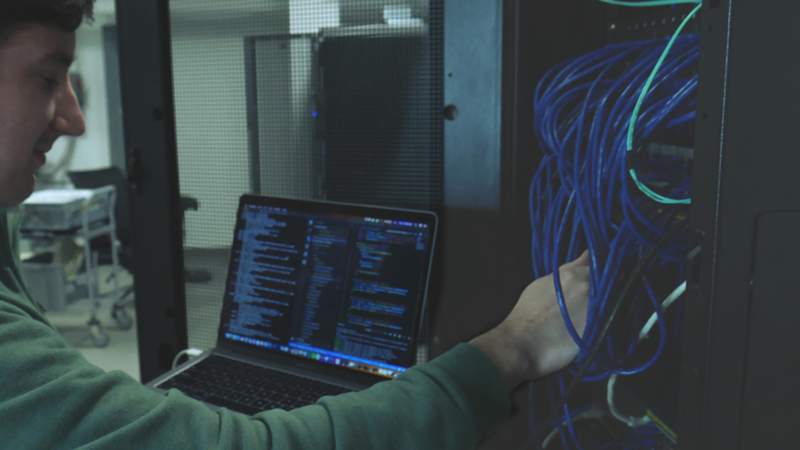 As a rapidly growing tech firm in Medina, thomastech specializes in data center solutions with a mission to empower IT professionals so that they can keep data moving. They accomplish this by supplying system hardware and enterprise-level support. Customers of thomastech include businesses of all sizes looking to replace their OEM’s solutions with more affordable options. In general, their customers experience significant savings (30-70%) compared to their previous agreements. Founded in 2007, thomastech has more than twenty employees focused on keeping their customers’ systems always up and always running. With thomastech’s focus on keeping data systems running, reliable Internet service is vital and mission-critical. As a result of seeking a more reliable and “always available” Internet solution, thomastech switched from its current provider to FairlawnGig. It was able to do so as FairlawnGig expanded its service area beyond Fairlawn’s city limits to Medina last summer for businesses.